Aug 1, 2011 by Jason Newcomb 2 Comments Posted In: Say What?! A new StashMyComics.com feature. Every weekday we will post a different comic book cover which will make you scratch your head and say: “Say what?” From the weird to the wildly inappropriate, these comic book covers will entertain and confuse you. Listen Uatu. What you do on the weekend is your business. Just don’t involve me. Say What?! 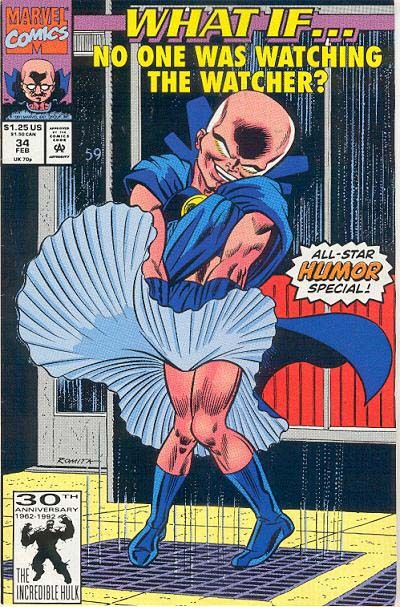 – Comic book covers you won’t believe exist… This comic book exists. And because of it, the universe is much more awesome. Have a great week! Ha Ha, I love it! Great idea for a series!